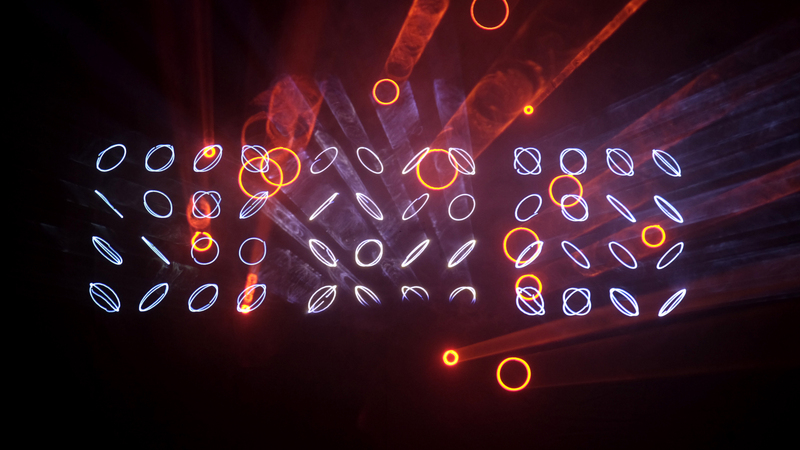 Lumière is a concert series exploring the artistic dialogue between high precision lasers and percussive sounds. It is based on a unique vector graphics software, which the artist is developing since 2010. The software allows to generate rapid successions of visual shapes and associated sonic events, and to manipulate them in real time. Lumière is permanent work in progress, with each performance being a snapshot of the current state. Since the premiere in 2013 Lumière got three fundamental revisions, and countless 'minor updates'. 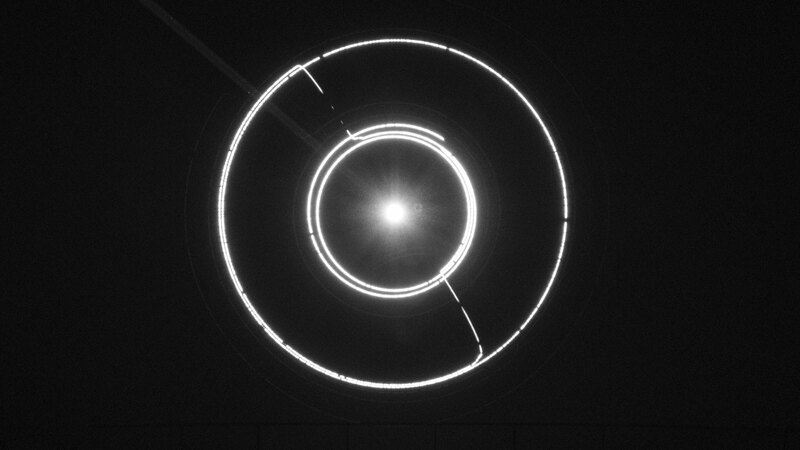 High contrast between total darkness and intense brightness creates 'negative objects' darker than black, the phaenomenon of 'persistence of vision' contributes controlled afterimages and a sense of spatiality, which transcends from the projection surface. The absence of fixed screen boundaries and the specific properties of vector graphics allow for a unique immersive experience. 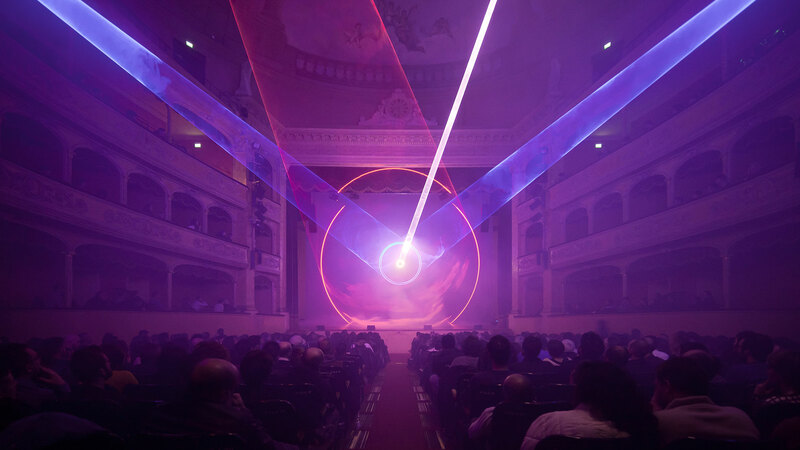 Synchronised sequences of overlapping moving shapes emitted from multiple lasers in the back of the auditorium are forming a audiovisual experience that oscillates between intimate and overwhelming. Drawing with lasers requires the precise and fast movement of small mirrors. This imposes severe limits on the achievable complexity. Lumière embraces these properties with its minimalist approach. Its visual richness is the result of the combination and succession of shapes, and by deliberately incorporating the artefacts of the technology. The visual language of Lumière consists of transformations and combinations of primary symbols: circles, squares, lines, dots, glyphs. Percussive and textural sonic events provide a counterpoint to these visual cues, at times fragile and quiet, at others massive and overwhelming. The result is a imaginary audiovisual sign language of an alien culture, communicating via emerging and disappearing traces of light, futuristic and archaic at the same time. Each Lumière event is a unique and site specific adaption of the work, performed by the artist sitting the back of the room, experiencing and shaping the work from an audience perspective. Lumière has been presented more than 70 times in Europe, Asia, Africa, Australia, North- and South America. The project has been staged in 16th-century roman theatres, in amazing concert halls, in vast industrial spaces, in the yard of a castle and projected on a giant marble wall in a quarry. Lumière has inspired countless people to explore lasers for artistic expression and drove the development of a custom laser hardware specially designed for its performance. Lumière I was the artist's first laser based performance piece, inspired by the experience gained from his first laser installation, 'Fragile Territories' . The first version of Lumière was using three white light lasers, driven by a relatively limited graphics software, with a sound layer derived directly from the laser control signals. Additional percussive and textural sounds were used to add musical counterpoint and background. Lumière I was based on a performance model of improvisational electronic club music, extended to the audio visual domain. The result was raw and powerful, yet of very varying quality and ultimately the concept turned out to be too hard to master in a concert situation. In an attempt to overcome the perceived flaws of the first iteration with its focus on improvisation and its relatively low visual complexity, Lumière II got created in 2014, based on a far more powerful software version and a new artistic concept. Lumière II was using four lasers, two of them custom made to provide a distinct color space using red, yellow and blue laser diodes, thus moving away from the strict monochromatic white of the first version. The score of Lumière II was precomposed, with possible interactions and modifications during the concert. 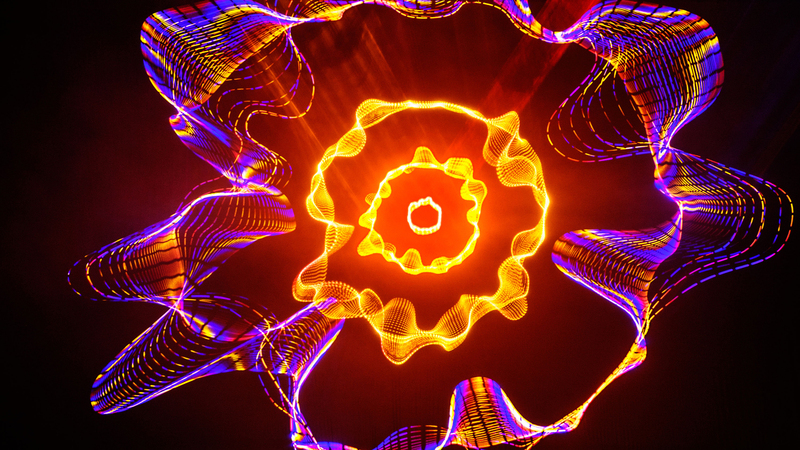 Sound generation was not based on the laser control signals anymore, but by a newly developed sound engine running in parallel with the lasers. The intention of Lumière III was to take the best elements of Lumière II and Lumière I and whilst extend them towards more intricate complexity also regain the initial rawness - which got lost a bit in the refinement process of Lumière II. This made adaptions and improvements of the laser control software and the laser hardware necessary. A strong focus of version III was the refinement of the composition and its performance parameters.